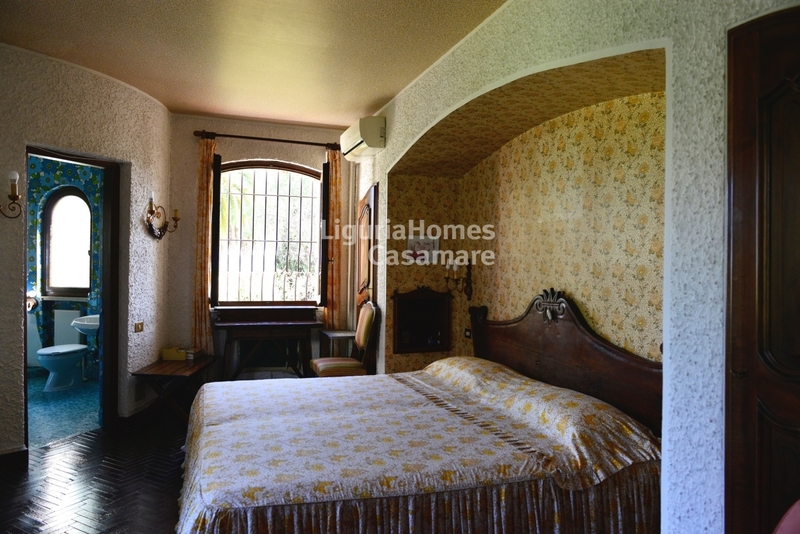 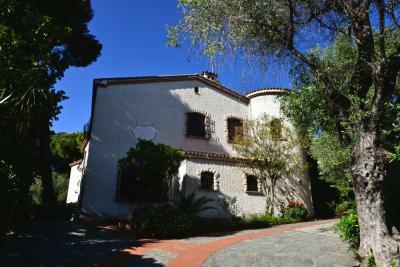 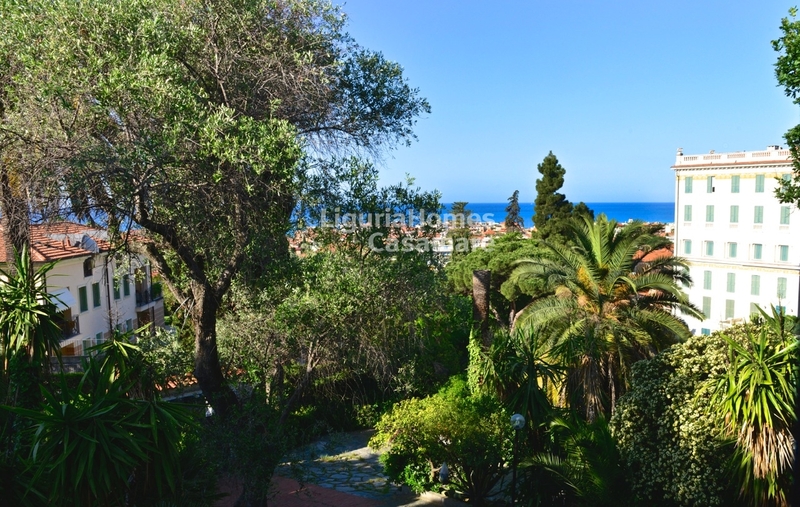 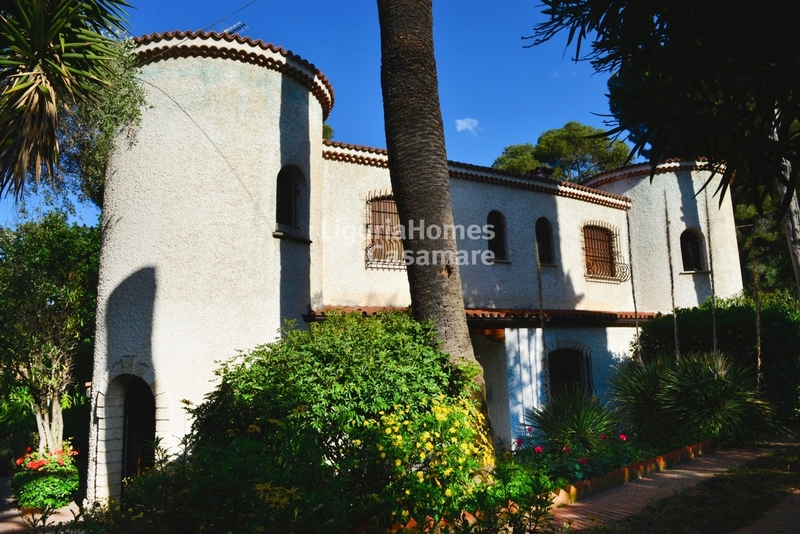 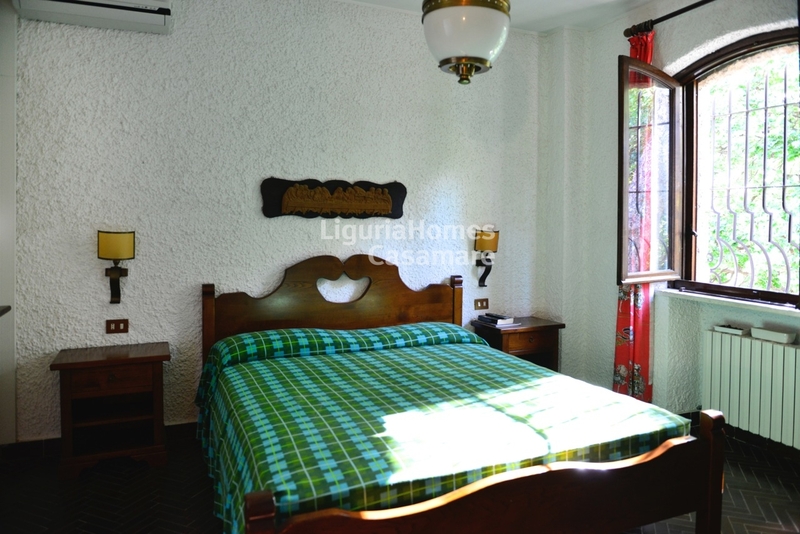 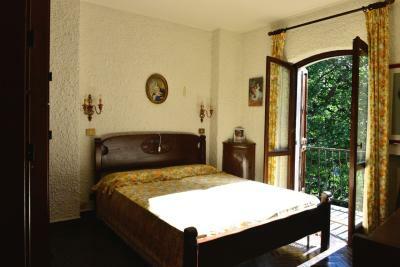 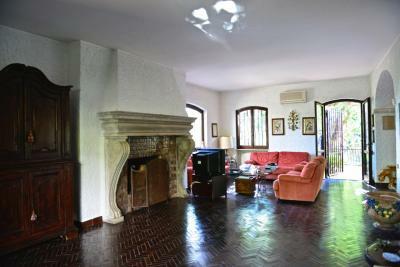 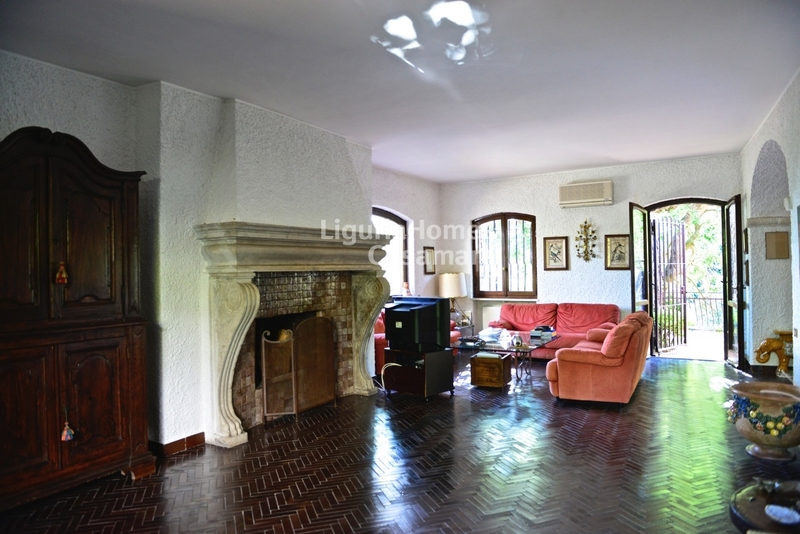 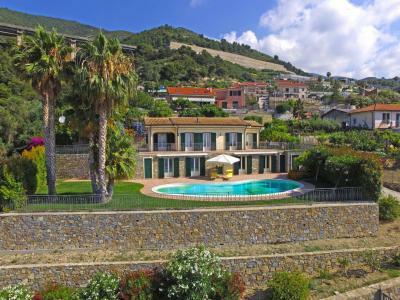 Situated just above the center of Bordighera, Villa for Sale with sea view surrounded by private garden of about 1,750 m2. 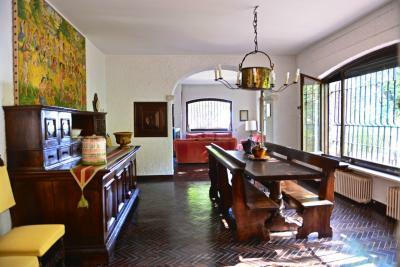 In the lower ground floor there are a large recreational room with kitchenette and dining area, 2 guest bedrooms and 2 bathrooms. 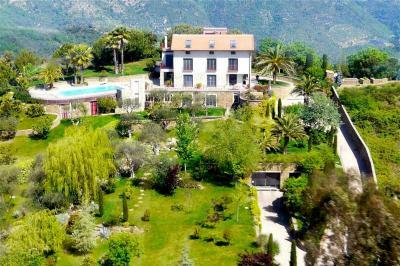 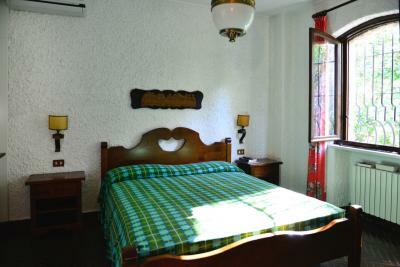 Next to the Villa there is also an independent apartment for guest/guardian/gardener, a double garage and a wine cellar.